Be the first to share your favorite memory, photo or story of Carol. This memorial page is dedicated for family, friends and future generations to celebrate the life of their loved one. Carol Eve Barger was born to Maurice and Ruby (Tranmer) Hayes October 31, 1943 in Oakland Nebraska. 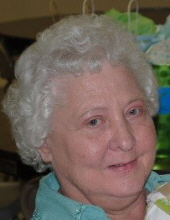 She passed away on March 12, 2019 at her home in Tekamah, Nebraska. Carol was married to Elwin Miller September 11, 1960 at the Riverside Baptist Church in Decatur, Nebraska. They had four daughters. Following a divorce, Carol married Harvey “Buck” Barger October 28, 1982, adding 2 step-children to her family. Carol was a mother and homemaker; her greatest joy was time spent with her family, either in person or by phone. She was preceded in death by her parents; husband; brother, Rodney Hayes; brother in-law, Ron Havelka. She is survived by her daughters, Karolyn (Larry) McElroy of Lyons, NE, Robin (Steve) Cass, Lynn Magill, Tami Miller all of Tekamah; step-children, Mike Barger of Oakland and Leann (Mike) Hoeper of Tekamah; sister, Beth Havelka of Malmo, NE; grandchildren, Josh (Maggie) McElroy of Rapid City, SD, Darl (Sarah) Beck of Tekamah, Jarrod (Brandy) McElroy of Lyons, Amanda Miller and Sammy Miller both of Omaha NE; step grandchildren, Sachia Barger, Brittany Hoeper and Ryan Hoeper; 5 great-grandchildren; 2 step great-grandchildren; niece Cassie (Kyle) Thelen of Lincoln, NE. To the family for future designation. "Email Address" would like to share the life celebration of Carol Barger. Click on the "link" to go to share a favorite memory or leave a condolence message for the family.